1. Start with the Content. 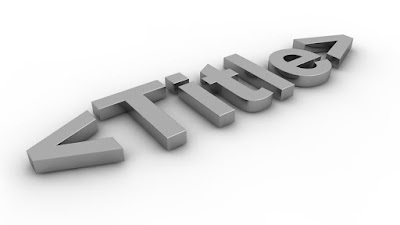 You don't have to start with the perfect title. You're allowed to revise once, twice or even a few more times. If something magical doesn't come to you right away, don't stress about it! 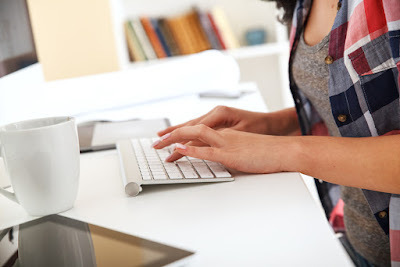 Start writing the blog content and maybe something will come to you. While you may be quite excited about your topic, be sure not to exaggerate things. For example, a blog titled "Why Facebook is the Only Social Media Channel You Need to Use" may grab someone's attention, but while Facebook may be your favorite social media network, it doesn't mean that other people should only use Facebook. The most important rule to abide when creating a title is to respect the reader's experience and avoid clickbait. Use Alliteration - for example, "Seven Social Solutions for Your Small Business" or "Food, Friends and Fun." This technique can have a subtle, but strong impact on the reader. Be Bold - strong phrases such as "things we love" or "why people hate" can be used for emphasis. You can also experiment with different adjectives such as fabulous, amazing or brilliant! You have the entire blog to dive into detail about this great topic you came up with, so don't try to cram it all into the title. Try to keep your blog titles short and to the point. Many bloggers say the ideal post title is 8 words or less. However, if you need a few extra to take your title from drab to fab, then do it! Depending on the topic, sometimes working in keywords for SEO can be hard. Don't force it, but if you can, try to optimize your titles for SEO. Since many of our clients are here at the Lake, we often try to work the area into the title, for example "7 Family-Friendly Things to Do at Lake of the Ozarks this Season." While including keywords can really help your efforts, don't go overboard on it. Keep in mind that you are writing for the reader too, not just the search engines. If all else fails, consult a friend! At MSW Interactive Designs, we have the perfect atmosphere for creativity. Our office space is open and allows for easy collaboration. One thing that gets all of us through the day is knowing that we have a great team to help us when we get stuck. If you don't have time to come up with terrific titles and engaging content for your customers, consider hiring our Lake of the Ozarks internet marketing company to do it for you. Contact us today at 573-552-8403 to learn more about our social media engagement packages! Are You Focusing on the Right Keywords?